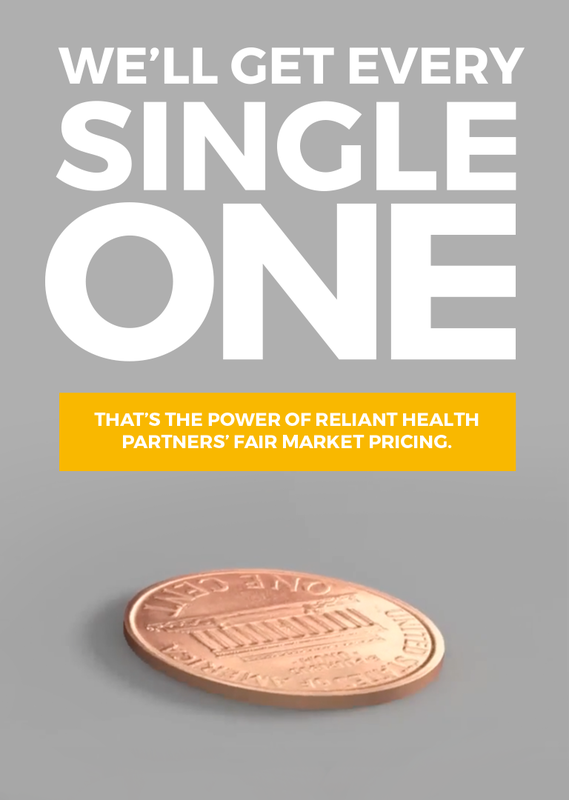 AT RELIANT HEALTH PARTNERS we developed Fair Market Pricing to deliver maximum savings with minimum noise. No claim is too small or too large. Every line of every claim is personally reviewed by a team of healthcare reimbursement experts. No one will save you more. WE GUARANTEE IT. No other method compares to Fair Market Pricing. IN LESS THAN 48 HOURS GUARANTEED. Put Fair Market Pricing to the test. Send us test claims and see our impact. We deliver maximum savings with minimum noise. Through best-in-class methodology and robust reporting capabilities we guarantee that no one will save you more. We achieve discounts in States with and without fee schedules. We also have the expertise to achieve additional discounts on claims that have already been significantly reduced through prior bill review and audits. Our performance is unmatched because our approach is unrivaled.